After you upgrade to Windows 10 through Microsoft's free upgrade offer, you'll be able to perform a clean install on the same machine without having to specifically purchase a Windows 10 license, according to the head of the Windows Insider program, Gabe Aul. It's not clear whether you'll be able to clean install Windows through standard Windows 10 media, or whether you'll need to use the included recovery tools within Windows itself. Microsoft will soon clarify this process, but at least we know that you will have the option to start fresh after moving to Windows 10 even if you upgrade for free. However, like Microsoft has already made clear, if you are building a new PC or upgrading from an OS older than Windows 7, you'll have to purchase a full Windows 10 license for at least $119. OEMs will almost certainly get a discount on these prices, as has been the case in the past. 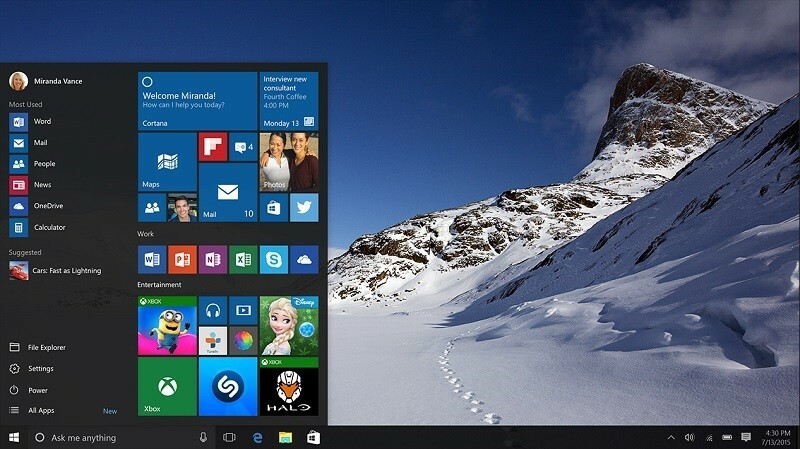 Windows 10 will launch on July 29th, Microsoft confirmed earlier in the week. If you are currently using Windows 7 or Windows 8.1, you can already reserve your free upgrade through the Windows 10 app that has recently appeared on these operating systems.